Is the mold you approved in China actually the mold that was built? Offshore mold building is a very important part of the USA manufacturing process. American purchasing agents drive projects after projects offshore because of the “savings” that they think they have. 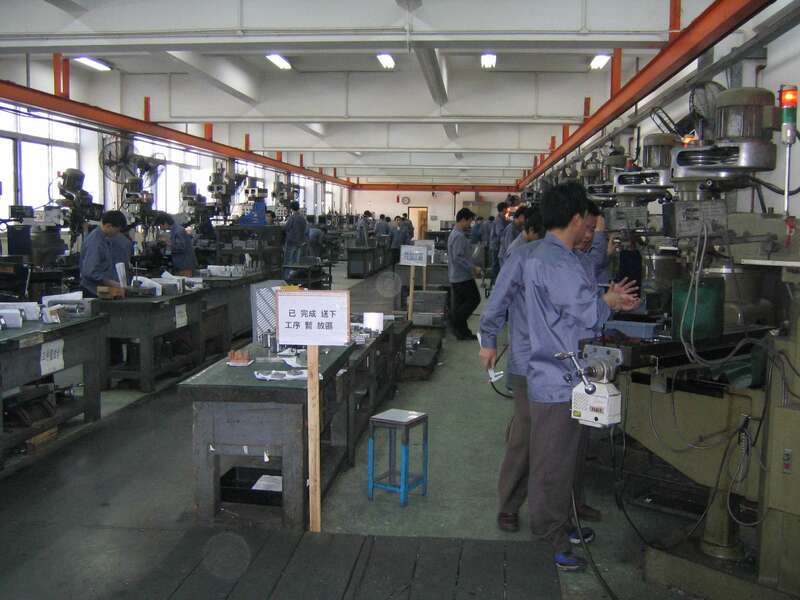 Many of the molds come back to the states to be run while many others still stay in China for production. While there are many shops that produce very good quality molds and have a great reputation, there are obviously less qualified shops that may not do as well. I happen to be given a fairly large project of 8 molds that needed tooled and I was required to build the tools in one of our customer’s pre-approved class A Chinese shop. Based on information from other people and companies, this shop had a very good reputation and was one of the most expensive in China. I assumed that based on this feedback, I should have good success with my project and little or no problems with schedules or problems. As typically required we packaged up the data and sent it over to start the design process. We decided to schedule a trip over to meet with them immediately after the design was kicked off but before they started to machine. This would give us a chance to give final approval of the design face to face, tour the shop, and learn more about each other all during the first trip. One of the hotels we stayed at in Shenzhen. Was nice, spacious, and comfortable. They were able to design the mold and send us the preliminary design and gave us a few days to review and make recommendations for changes and created a PowerPoint with pictures to send back. We had them update the files as traveled over to Shenzhen to meet them. We went over as planned and showed up at the shop on schedule. We set up shop, met the team, toured the shop, and prepared for our meeting. We started reviewing the designs that they sent us and went through each tool and critical feature one by one. We addressed several issues concerning parting lines, slides, water, unscrewing, etc. The meeting seemed to go well and I approved the designs for mold construction. The meeting seemed to go well and we were able to cover all the molds fairly quickly. We documented the information with marked up white board projects with photographs, marked up prints, and 3D files. Quick view of one of the design review examples we had. The tool build schedule was approximately 8-10 weeks and as it always turns out, the end of the project was right near the Chinese New Year. Every customer that has molds in the shops during that time definitely risks having their schedules delayed because of the holiday season and the majority of the Chinese employees go back home. We already knew this schedule and strategically planned to head back to China about 2 weeks before the Holiday and that we planned on sampling the molds before every left for holiday. One of the several interesting dishes served while in China. I headed back to China as planned and hoped to review all the mold components at the end of machining and through fitting and sampling. This plan to expedite the end of the project turned out to be much more critical than I thought it would be. Project delays, questions on the projects, miscommunication, changing personnel within the company all created problems. So from the moment I landed back in China, it was a firefight to get things back on track. As a tooling engineer, product engineer, and project manager, I always review the individual components for any discrepancies to the design, tolerance problems, machining mistakes, and general fit and function issues. I took the completed 3D design on my laptop down to the shop to start the review of the mold plates and cavity inserts. I went down through the shop and was not able to spot which molds were actually mine. I specifically wanted to work on the largest and most difficult mold because of timing issues. I went to the foreman to help me find it. He pointed over to a stack of plates on a skid and said that it was my large mold. I told him that it did not match the design and showed him that the ejector system had a totally different number of support pillars and other differences while referencing my laptop screen. So he proceeded to take me over to a stack of drawings on his bench that had my company and job number on it. I reviewed the drawings and quickly determined that the design that I spent so much time reviewing and approving was not actually being built. This caused huge concern that they would actually have the mold designed twice and keep me busy on one design while doing a totally different design for internal use. They were scheduled to mold the parts and I believe this is the largest reason why they thought that they would get away with this strategy. I assume that 99% of the purchasing people who review shops in China do not bring laptops with 3D data and review at the plate level. If they did, this strategy would most likely get caught and therefore be stopped. It was based on this finding that I quickly pulled the team together and try to find out what happened and why. I also had to ensure that the steel that was actually cut was going to support the final design as well as the same mold that I actually approved. There were also other concerns about the unscrewing mechanisms with a different mold base stack, new water, and different pin placements. Keep in mind that this trip was scheduled for only 14 days during the fit of the mold and sampling. With all these problems, changes, and unknowns, I was forced to call up my company and let them know that I was not coming home on schedule and needed at least another week (through the Chinese holiday) to get this fixed. Staying the extra week seemed to perplex and concern the shop especially considering that they had several other customers in the same boat. The only difference is I camped out on in their conference room while the other customers were back in the states comfortably in their offices managing remotely. Since I remained within the office, I was able to walk through the shop as needed or 1-2 times each day to monitor progress, ask questions, or answer questions. One critical thing that I noticed was since I stayed there and was able to walk through the shop, they made sure that most of the machines had my components in them. So for all of those shops that wonder why delays happen during holidays and other critical times, it is because some customers push their projects ahead of yours like I did. We have no choice. The squeaky wheel gets the grease. So in conclusion, we reviewed all the new designs and confirmed that they would function. Confirmed the assembly and fit process. Put the molds together and had to make some changes. Caught a few mistakes and adjusted accordingly. The assembly process was difficult because many of the employees did go home during the holiday so we were shorthanded and rushed. We were able to get the molds together and sampled during the extra week. I was not able to stay long enough for all the mold samplings but we did get the worst one done and take those parts back home. It was pretty stressful with some very long days. I wish I could have had our purchasing department share in all the fun, long days, and 3 weeks spent away from home. So the moral of the story is several fold. Photograph everything. It was extremely helpful for pointing out problems even weeks after we came back. If you need service, you may not have a choice but stay onsite. Once you leave, your parts will be taken off the machines and your competitors parts will be put back on. His mold will move ahead of yours and yours will most likely be later. Make sure that there was not 2 molds built. One for you and one they continue to mold copies of your parts for themselves. My personal recommendation is to always ask what the food is. If local person cannot tell you what it is, do not eat it. Most of the food was pretty good but a few times it did get a bit scary. I had eel, squid, duck, octopus, fish with teeth, pron, turtle and a few things I am still not sure.